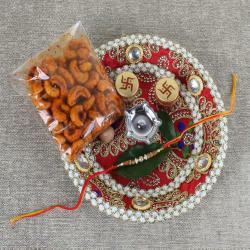 Raksha Bandhan is the beautiful festival celebrated by the Hindus across India. Rakhi symbolizes countless emotions of brother sister relationship so celebrate this festival with love, promise and protection. 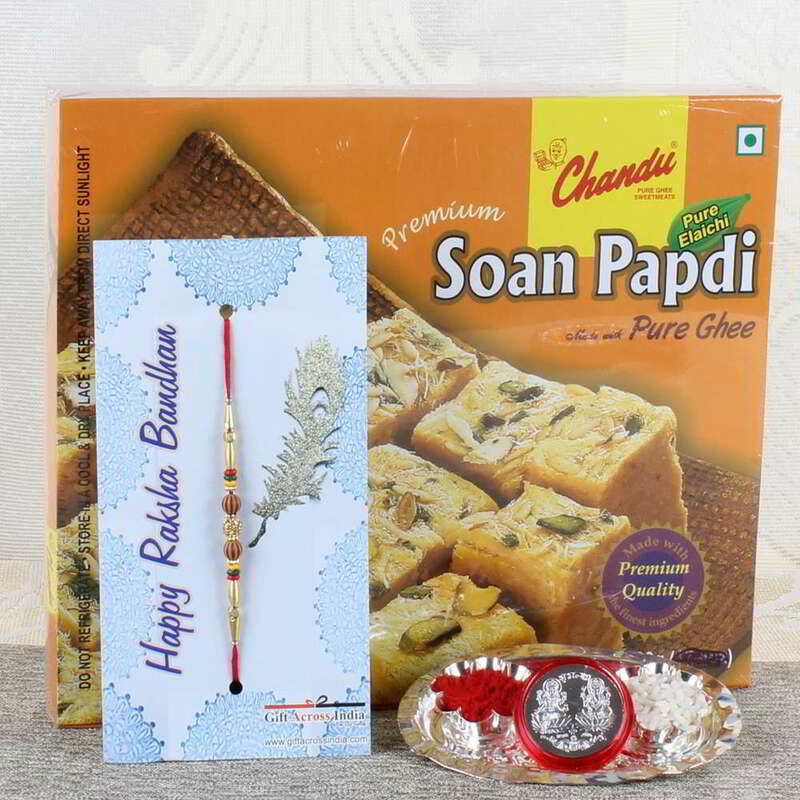 Mini Thali with Soan Papdi and Designer Beads Rakhi gives yours brother with pleasant surprise. 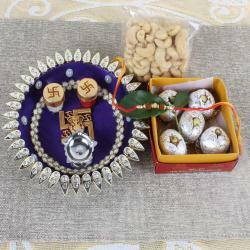 Mini Thali Rakhi completes your celebration perfectly and automatically would make your brother to feel the amazing gift on this festive gift package. Strengthen your bond of love with keeping you alive the traditions and enable the essence of eternal bond of siblings. 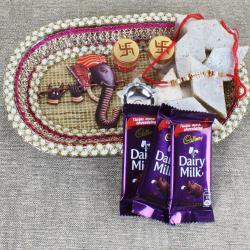 In fact, Golden Design with Diamond Studded Rakhi brings a superior look with Designer Mini Roli Chawal Thali. 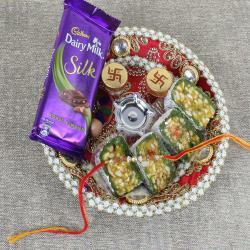 Product Consist: Golden Design with Diamond Studded Rakhi, Soan Papdi Pure Elachi (Weight: 500 gms), Silver Plated Coin (Weight: 5 gms) along with Designer Mini Roli Chawal Thali.